Infuse Bone Grafts are synthetic proteins that help grow new bone. They are developed by Medtronic and approved for use in certain spine, dental and trauma indications. Infuse has been used in more than a million procedures worldwide, but recent reports link the biotech device to a number of serious complications. Medtronic’s Infuse Bone Grafts are synthetic, concentrated proteins called recombinant human bone morphogenetic proteins (rhBMP-2) and were approved by the U.S. Food and Drug Administration (FDA) in 2002 for use in spinal fusion. In 2004, Infuse was approved for treating tibial shaft fractures, and in 2007 the FDA approved the bone-fusion product for oral-maxillofacial procedures — for defects associated with extraction (pulled teeth) sockets. The most recent approved use came in 2015, with the approval for use with certain PEEK (polyetheretherketone) cages in two types of lower back (lumbar) procedures. These cages act as a space holder between the vertebrae and allow the bone graft to grow. Prior to that approval, a titanium cage was used. A genetically engineered form of a natural protein (bone morphogenetic protein, or BMP) found in the human body that helps regulate bone growth and healing. A sponge manufactured from cow type 1 collagen (collagen found in cows) that acts as a natural carrier to deliver the engineered rhBMP-2 protein. The collagen sponge is soaked with these synthetic proteins and injected into the spine to alleviate pain. More than a million people worldwide have had rhBMP-2 put into their bodies since the first FDA approval came in 2002. It is estimated that Infuse is used in 100,000 spinal-fusion procedures a year in the U.S. and reached $750 million in sales in 2011 alone. Infuse Bone Grafts are risky, however, and can come with dangerous side effects, including infection, male sterility, bone and nerve injury, urinary problems and a possible increased cancer risk. What makes this worse is that Medtronic is accused of paying off doctors to use its products, intentionally hiding the possible side effects and using deceptive marketing practices. A number of people have been injured after using the product and have filed lawsuits against the company. Bones grafts are pieces of bone or bone substitute that can replace damaged or diseased bone in a number of areas in the body. 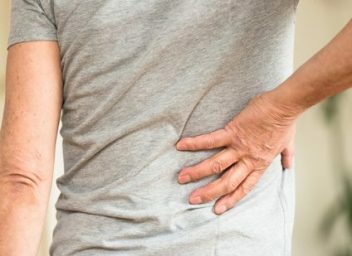 A growing number of people suffer from crippling back pain because of arthritis or other forms of degenerative disease. 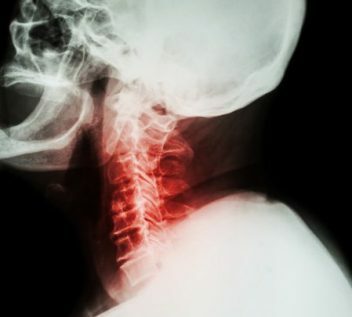 The U.S. spinal implant market is a multibillion-dollar industry and continues to grow. Analysts predict a 7.5 percent annual growth rate by 2019 and the market is expected to reach $6.4 billion by 2024. In spinal fusion, doctors surgically fuse together the individual damaged bones of the spine, called vertebrae. Doctors typically take bone from another part of the patient’s body, use donated bone or use synthetic bone. After the fusion, the individual vertebrae form one solid bone, eliminating irritation of nerves in the spine. By using synthetic bone, doctors don’t have to harvest bone from another part of the body, such as the hip. Donated bone carries a risk of infection or disease, and the quality of the bone cannot be controlled. BMP occurs naturally in the body and was first discovered by Dr. Marshall R. Urist in 1965. These proteins have a large role in forming cartilage and bone in the body. The Infuse system is designed for use in people with degenerative disc disease, including Grade I Spondylolisthesis, more commonly known as a slipped disc in the spine. The only spinal surgical technique that is FDA approved for use with the Infuse Bone Graft is the anterior lumbar interbody fusion (ALIF). In ALIF surgery, the surgeon operates on the lower spine by going through the abdomen instead of through the lower back. This procedure minimizes injury to the back muscles and nerves. While this synthetic bone graft technology is a significant advance in medicine, it also comes with a hefty price tag. Using BMPs adds several thousand dollars to the average cost of spinal surgery. Packages of Infuse can range from $2,500 to $5,000. Over the years, Medtronic has faced increased scrutiny for its Infuse Bone Graft. It also revealed that a number of the researchers in these studies received between $1 million and $23 million a year from Medtronic in royalties and consulting fees from 1996 to 2010. A number of researchers in the Medtronic sponsored studies received between $1 million and $23 million a year from Medtronic in royalties and consulting fees. The Senate Finance Committee demanded all information on adverse effects involving the synthetic protein be reported. In 2012, the committee concluded Medtronic was heavily involved in shaping, editing and writing the research, some of which downplayed Infuse’s issues and emphasized problems of competing treatments. Even before Carragee’s article, the U.S. Department of Justice (DOJ) was already investigating Medtronic. In a civil suit, the DOJ accused the company of paying kickbacks to doctors between 1998 and 2003 as an incentive to use Infuse and other spinal products. Medtronic reportedly set up sham consulting agreements and royalty agreements and even paid for “lavish trips to desirable locations,” according to the suit. In 2006, the company paid $40 million to settle the civil case. Early clinical studies, including those reviewed by the FDA, showed Infuse has the potential to inflame nearby tissues and bone, cause urinary problems and even stimulate cancer growth. In fact, BMP products are associated with a 43 percent higher overall complication rate compared to traditional bone grafts. Until Carragee and his colleagues published their 2011 review, these adverse events were unpublished. In the review, Carragee accused companies like Medtronic of paying off doctors to intentionally hide these severe complications. Despite Medtronic marketing Infuse as a superior option to traditional bone grafts, Carragee’s study found the risk of complications after surgeries using Infuse was the same or greater compared to taking bone from the hip. In addition, 15 to 20 percent of people who received Infuse reported leg and back pain. There is also evidence that higher doses of Infuse carry a greater risk for developing cancer. Medtronic continues to deny these claims. Stryker Biotech manufactures a similar product, called OP-1, which was approved by the FDA in 2001 for limited use. Medtronic is the industry leader, with 44 percent of the $1.9 billion bone graft market — and 90 percent of the BMP market. Spinal fixation devices are also a growing trend for spinal fusions. 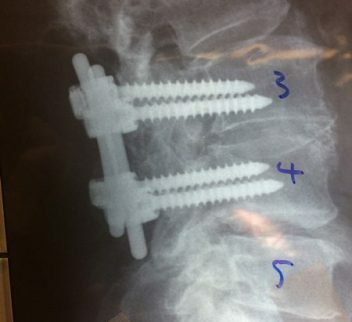 Using pedicle screws and rods, these devices hold the vertebrae in place to be fused. In addition to spinal surgery, Infuse is approved for use in tibial fractures and in dental procedures to repair the sinus cavity. Miller, L. (2011, July 22). Medtronic held 44% of the bone graft substitute market in 2010. Becker's Spine Review.